Millions around the world, including many movie stars, have benefited from BOTOX®, the most popular non-surgical skin care procedure. FVH offers a choice of different procedures to help end those unwanted wrinkles and enhance the vibrancy of your face. Each non-surgical treatment is a quick outpatient procedure allowing you to leave hospital on the same day. There is no recovery time and you can return to your normal routine immediately - the perfect occasion to combine your treatment with an exciting vacation in Vietnam. Treatments are selected because they are safe, quick and highly effective, allowing patients to enjoy younger looking skin while avoiding the cost and risks of cosmetic surgery. Our experienced international and Vietnamese doctors can skillfully complete both common and advanced BOTOX® and dermal filler procedures for around one third of the cost of treatment in the USA, and half the cost of treatment in Europe. Removal of cancerous or suspicious moles. BOTOX® works by relaxing the muscles below the wrinkles, resulting in smoother looking skin. The treatment safely and successfully reduces wrinkles for example between the eyes (“angry lines”), on the upper forehead (“worry lines”) and around the eyes among other areas. BOTOX® can also be used for pain relief and for migraine headache prevention, it can even be used to reduce excessive sweating from the hands or under the arms. BOTOX® can be used to create a slim, feminine jaw. Your eyebrow shape can also be altered. When can I see the results from my Botox treatment? BOTOX® for facial contouring gives results a few days to two weeks after treatment, your skin gaining a softer, smoother appearance. However, one must realise that the effect wears off over several months and the skin will return to its natural state. Treatments can be repeated as often as required to maintain a less wrinkled appearance. Treatment costs vary with the amount of BOTOX® (men usually require more than women), the location of the treatment and the number of areas to be treated. BOTOX® can be combined with other treatments and is has been used on people who have had previous cosmetic procedures including silicone injections. BOTOX® is the gold standard neurotoxin with a wonderful record of effectiveness and safety over time. Restylane® is a natural substance giving you a younger and healthier appearance. It is made of hyaluronic acid, a clear gel naturally existing in the body, lifting and smoothing wrinkles. Restylane® maintains its shape by attracting the body's own moisture, is stable over a long duration and is not of animal or human origin. The treatment is quick and the Restylane® enhancement procedure has been safely used by millions throughout the world. Restylane® injection restores the skin, correcting facial wrinkles and folds. Lips can be given fuller appearance. Restylane® is injected beneath creases or wrinkles between nose and mouth, to fill the lips and also in other areas, including the forehead, chest and hands. Your skin is immediately smoother and softer. When can I see the results from my Restylane treatment? Restylane® benefits are immediate and long lasting. Transfer to FV Hospital for BOTOX Treatment. 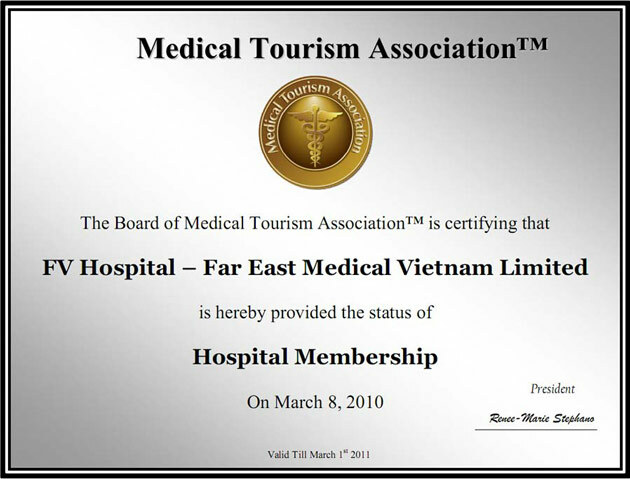 Then transfer to Thao Dien Village (www.thaodienvillage.com) for relaxation. Evening – Dinner at The Deck, a romantic riverside restaurant in An Phu District. Pick-up around 6.30pm and transfer to the restaurant for an elegant dinner on the breezy banks of the Saigon River. Return to hotel around 9.00pm. Choose from either a Euro-Asian buffet, or set menu options.We will then return to Bach Dang and disembark at around 9.30pm. Botox for advanced treatment areas (lower face, Nefertiti lift, botox face lift, calf contouring, facial contouring, etc.) US$15 to US$20 per unit (The number of units makes up a dose and size of the dose varies with the treatment area). The total price depends on the patient needs. Usually the doctor starts with a low dose and asks the patient to return for additional treatments to desired effects. As an indication: for a woman in her 50ties, facial contouring usually is about US$600 and a Nefertiti lift is about US$500. Botox for trigger point injections (pain relief): US$100 to US$200 per trigger point. Restylane: the price per vial depends on the type of treatment, it is usually US$300 to US$350. Advanced high-technique areas such as rhinoplasty or lower eye treatment are more expensive, approximately US$500 per vial. Prices vary from patient to patient because the actual amount of botox and dermal fillers is never exactly the same, therefore our prices are purely indicative. Prices depend upon gender (men have larger muscles and usually require more of the medicine), extent of wrinkles (older people with deeper wrinkles require more medicine) and preference of patient for decreased movement or flattening (the more flat the desired appearance, the more medicine needed).